Y.S. RANA, CHANDIGARH—Looking hence and sizing up the ever increasing power needs of the Union Territory of Chandigarh, the Chandigarh Administration has adopted a two-pronged strategy to narrow the gap between supply and demand. Not only it has reduced the power cuts to fewer but also able to arrange nearly 400 MW power per day and 473 MW per day by 2018. While talking to Mr M.P. 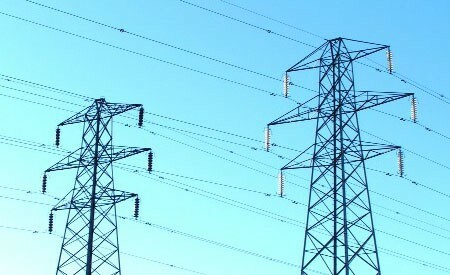 Singh, Superintending Engineer, Electricity Department, Chandigarh said that there was no shortage of power in the city. More or less demand-supply remained the same at present and there was no reason to panic. Dwelling on the initiatives of the Administration he said that as many as 40 power purchase agreements (PPAs) including short and long-term with some central power projects and other power generating projects have been inked. These included the 3000-mw Dibang Power Project in Arunachal Pradesh that would allocate 500- mw electricity to Chandigarh one it is completed in 2017-18 and the Mahalaxmi Mega Thermal Power Project in Orissa will supply 150 mw. Besides, broad contours of the arrangement have been agreed upon with some more power generating projects, said Mr Singh. These include 400-mw Koteshwar generating project, Uttranchal had agreed to firm allocation of 20-mw of power. The Administration has also signed PPAs with central generating projects of NTPC and NHPC for firm allocation of 221-mw power to the union territory, said Mr Singh. Mr Singh further stated that the department would soon start distribution of two LED bulbs to each household. The department has also proposed to provide LED tube lights if the tender rates were found reasonable. The work has been assigned to EESL Company and it would assist the department. Besides, the Administration is making all out efforts to encourage production and use of solar energy and at present nearly 7.2-mw solar power is being generated per day. By 2022, city has fixed target of achieving 100-mw solar energy. He has also told that the city was getting power more or less equal to its demand. During the third week of May the maximum power demand was 397 MW on May 20 which was 283 MW on May 15 while on May 21 it was 348-mw; May 19 (375-mw); May (362-mw); May 17-18 (326-mw) and May 16 (334-mw). On the basis of Census-2011 population, experts evaluated city’s power demand nearly 473-mw by 2018. He further revealed that as many as 40 power purchase agreements have been inked with a number of power generating projects including the Thermal Plant, Hisar; Dibang Power Project, Arunachal Pradesh; and the Mahalaxmi Mega Thermal Power Project, Orissa for firm allocation of electricity. The Administration has already with new central generating projects of NTPC and NHPC for firm allocation of 221-mw power to the union territory. On one hand broad contours of the arrangement have been agreed upon, on the other the Administration also encourages other source of energy to narrow down the gap between supply and demand. From 150 MW power per day in 2004 the demand has increased to 318-mw in 2009-10. Now the power demand of city has gone up to 397-mw. And the per capita power consumption in Chandigarh has risen to 1428 units. Mr Singh also stated that there has been sharp rise in power purchase as Chandigarh has no source of generation of its own. The expenditure incurred on the purchase of power which was aggregated Rs 285 crore in 2005-06 now it touched to Rs 654.55 crore in 2015-16, says the official of the electricity department. The Chandigarh Administration realized revenue (SOP plus ED) of Rs 732 crore in 2015-16. The Administration had spent Rs 10 crore under plan head to install 11 KV power stations in 2015-16, said Mr Singh and he sought cooperation of the public and advised to use more LED bulbs and five-star electric gadgets to save energy.